"COME, RAISE YOUR GLASSES . . ."
I HOPE LIFE'S BEEN GOOD TO YOU THIS YEAR. I WISH I'D HAD MORE TIME FOR YOU ALL. IT'S JUST THAT I'VE BEEN WORKING ALMOST LITERALLY 24/7 FOR THE LAST TWELVE MONTHS. THE GOOD NEWS IS, AFTER YEARS OF DELAYS AND ENDLESS LINE-UP CHANGES, BEYOND THE FIELDS ARE FINALLY, YES, FINALLY WORKING ON THEIR FIRST FULL-FLEDGED ALBUM! WE'VE FOUND A WONDERFUL NEW LEAD GUITARIST, THE BAND SOUNDS BETTER THAN EVER, AND THE ARRANGING SESSIONS ARE GOING JUST GREAT. BUT WHAT'S THIS YEAR'S CHRISTMAS PRESENT FROM US? WELL, IT'S A 2004 REHEARSAL OUTTAKE OF THE WAY THINGS GO, A SILLY LITTLE PUNK TUNE WE OFTEN PLAY AS AN ENCORE. HEY FOLKS, HOW ARE YOU DOIN'? HOPE YOU'RE ALL HAVING A GOOD YEAR. ME AND THE BOYS ARE CURRENTLY SWAMPED WITH WORK, SO PLEASE FORGIVE ME IF I DON'T REPLY AS FAST AS USUAL. I WILL GET BACK TO ALL OF YOU. IN ANY CASE, BEYOND THE FIELDS ARE STILL SET ON RECORDING THAT LONG OVERDUE SECOND STUDIO CD LATER THIS YEAR. WE'LL ALSO TRY TO SQUEEZE IN AS MANY LIVE DATES AS POSSIBLE. ONE CONCERT I CAN TELL YOU ABOUT ALREADY IS SEPTEMBER 24 IN ARBON. FOR MORE INFORMATION ON THAT, SEE WWW.ARTEFFEKT.CH. SPEAKING OF CONCERTS, A HANDFUL OF PICTURES FROM THE USL IRISH NIGHT IN FEBRUARY CAN BE FOUND HERE. FOR THOSE INTERESTED IN NETWORKING OR ONLINE STREAMS, BEYOND THE FIELDS DO HAVE A PAGE ON MYSPACE AS WELL NOW. YOU'RE MOST WELCOME TO VISIT US THERE TOO. LAST BUT CERTAINLY FAR FROM LEAST, I'VE GOT A NEW MP3 FOR YOU! 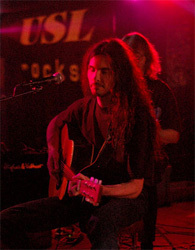 ALL I REALLY NEED, RECORDED LIVE AT THE LION IN JANUARY 2005. THE FIRST TIME WE EVER PLAYED THAT ONE IN AN ACOUSTIC SETTING! 01/27/2005 ATHBHLIAIN FAOI MHAISE DAOIBH! NEW YEAR, NEW GIGS. JUST DID OUR SECOND ACOUSTIC NIGHT AT THE LION. NOT ONLY THAT, WE EVEN RECORDED IT AND I ALREADY ADDED SOME EXCERPTS TO OUR SOUNDS PAGE! HOPE YOU LIKE 'EM . . . HERE'S ANOTHER COOL GIG. 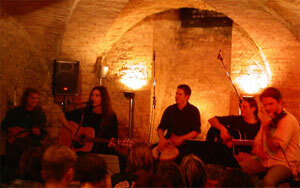 AN IRISH NIGHT IN AMRISWIL ON SATURDAY, FEBRUARY 12. 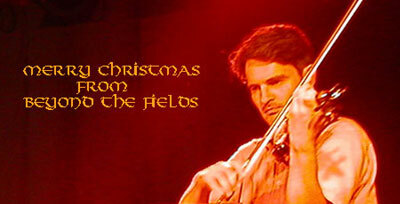 BEYOND THE FIELDS WILL DO A FULL ACOUSTIC SET THERE, 90 MINUTES, DJEMBE, FIDDLE AND ALL, STARTING AT 21:30 PM. 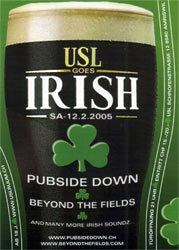 FOR MORE INFORMATION, CLICK ON THE GUINNESS, OR GO DIRECTLY TO WWW.USLRUUM.CH.